I have a confession to make. I’m not really a fan of chicken. I find it dry, bland and completely uninspiring. Of course, this is because I have actually eaten free-range chicken used to running around on my grandmother’s farm all day and eating whatever it wanted; happy chicken. Happy chickens taste better than mass-produced chickens. I can’t get my hands on a lot of old-fashioned chickens, so I really don’t eat it all that much. Having said that, I understand that it’s all a lot of people eat – or that their kids will eat. With that in mind, I give you this low-fuss offering. It’s one you can double and freeze for those nights when you just don’t want to think about dinner too much. This recipe uses about a pound or 500 g of boneless, skinless chicken fillets. You can use breast meat cut lengthwise into strips or, do what I do, and use chicken tenderloins. Thigh fillets would also work. If you want to, you could even cut your meat into large dice and make your own chicken nuggets for small people’s dinners or finger-food at parties. Just sayin’. As with everything on this site, play with it and make it your own. So, after it’s been cut to shape, the chicken is then seasoned with salt and pepper and put through an assembly line coating process. You’ll need three plates: one with plain flour, one with beaten egg whites and one with a mix of breadcrumbs and shredded or desiccated coconut. You can also get older children involved in this part, thereby cutting the labour for you! I used Panko crumbs for this, because I like the crunchy texture. You’ll find them in the Asian foods section of your supermarket if you live in Oz. However, you can use plain old breadcrumbs if that’s what you’ve got. 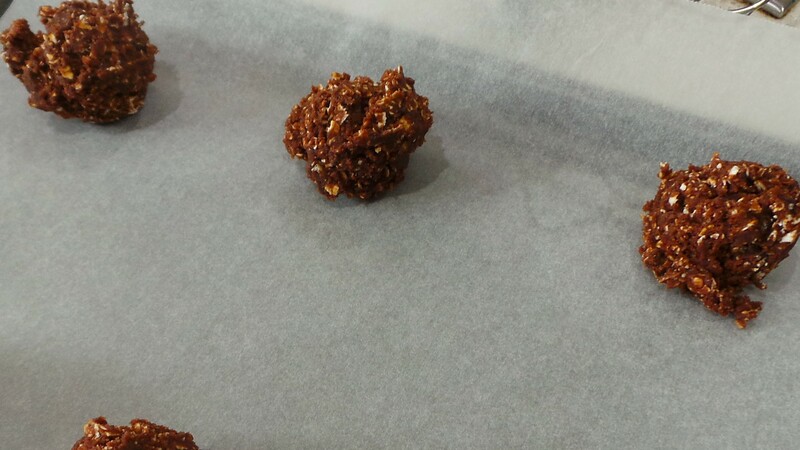 These are mixed with a fair amount of coconut just to change things up a bit. I’ve also been known to add a touch of lime or lemon zest as well to give a bit of zing. 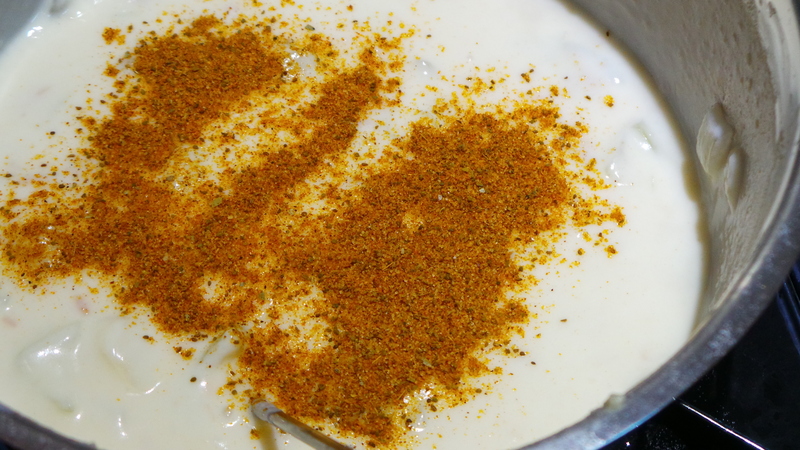 If you like heat, a small red chilli sliced finely and mixed through the crumbs would add a touch of colour and spice. 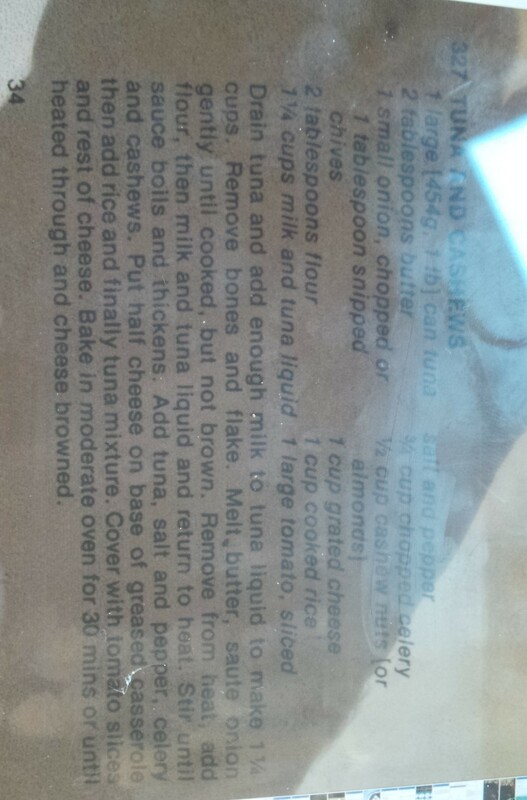 So, grab a bit of chicken and dredge (cover) with the plain flour. I added the salt and pepper to the flour, because lazy. Then dip it in the lightly beaten egg whites, coating thoroughly. Followed by a good dunking in the breadcrumb/coconut mix, patting it down quite firmly to make everything stick. Mix it all together first. This just looked more interesting. 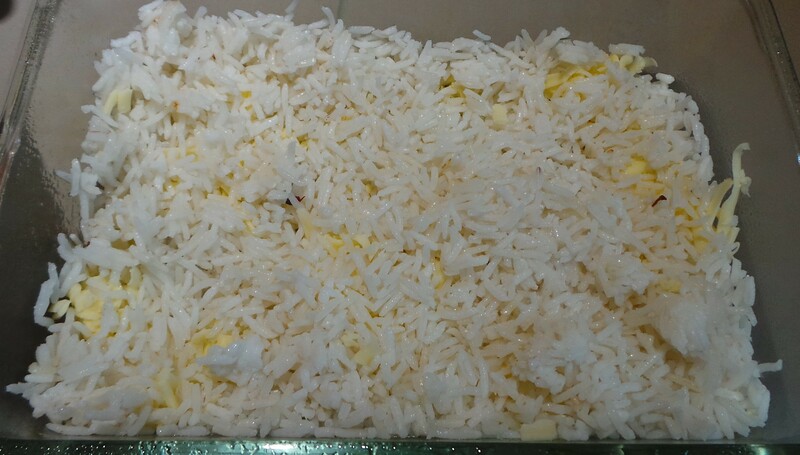 Serve with rice and vegetables garnished with a slice of lemon to squeeze over. If you’re serving them as finger food at a party, then a dipping sauce of aioli or sriracha mayonnaise would work a treat. Cool on racks before freezing. 2 large egg whites, lightly beaten. Cut chicken into strips about ½ an inch thick and season with salt and pepper. Fill one with the plain flour. Fill another plate with the egg whites. Mix together the breadcrumbs/Panko and coconut and place on the third plate. A few at a time, thoroughly coat the strips in flour. Dip in egg whites, then into the coconut mixture. Press firmly to help the coating stick. Place on a baking tray lined with paper and spray gently with cooking spray. Bake for 6 mins on each side or until done. Spray again when turning. Serve with rice and vegetables and a slice of lemon to squeeze over. add a small, finely-sliced red chilli to the breadcrumb mix for a hint of heat. cut the chicken into chunks instead of fingers for nuggets. leave the coconut out and use an extra ½ cup of breadcrumbs. Add a tbsp of mixed herbs or your favourite herb mixture to the crumbs instead. May be flash frozen when cool and reheated from frozen at 180ºC/350ºF for 20 mins or until heated through. This post might seem to be a bit “out of the blue” – and it is. I’ve just started learning and experimenting with Sourdough and I’m not quite ready to post about it all just yet. However, I have two gorgeous cousins who are also interested in it and I thought I’d dry some of my starter, Bullwinkle, and send him to them. I did that quite successfully, as you can see. I started out with flakes and then remembered I owned a coffee grinder I could powder them in. So I did. Then I realised that they’d have to reconstitute him. I needed to learn how to do that. I also needed to check that these little bags of magic powder would actually work before I sent them off into the vast reaches of Oz. Or I might be disowned or something. Pre-grinding flakey starter was used for this pic. Don’t panic. 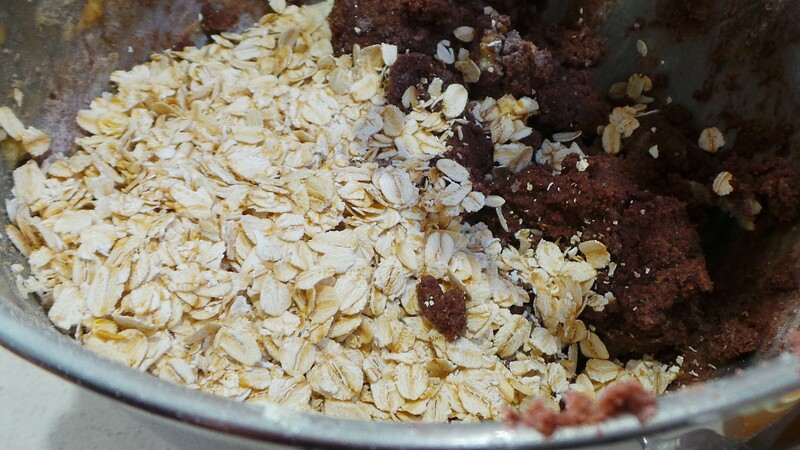 Mix to a slurry and set aside for a few hours. To be safe, do this at breakfast and the next step in the evening. Now add a tablespoon of flour and the same weight of your unchlorinated water. So, if your flour comes to 20 g – for the sake of argument – then add 20 g of water. It is important to use the same type of flour the starter was originally made with. You can wean it onto another type after it is out of ICU. Mix well, cover loosely and put aside. It will look particularly unimpressive. The next day you may see a bubble or two, or you may not. Don’t despair. Repeat the feeding process above and put it aside. You will know it has revived when bubbles appear. If more than 4 days pass and no bubbles surface – ahem – discard and start again. 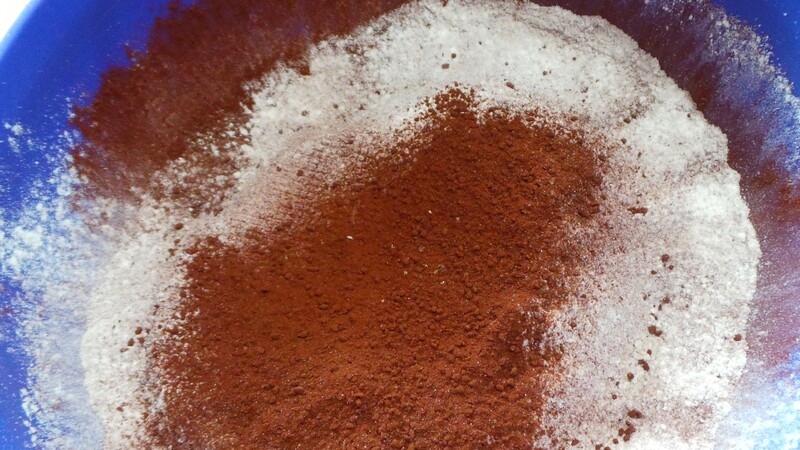 Transfer it to a larger bowl or jar and add 100 g each of flour and water. Mix well and place aside. 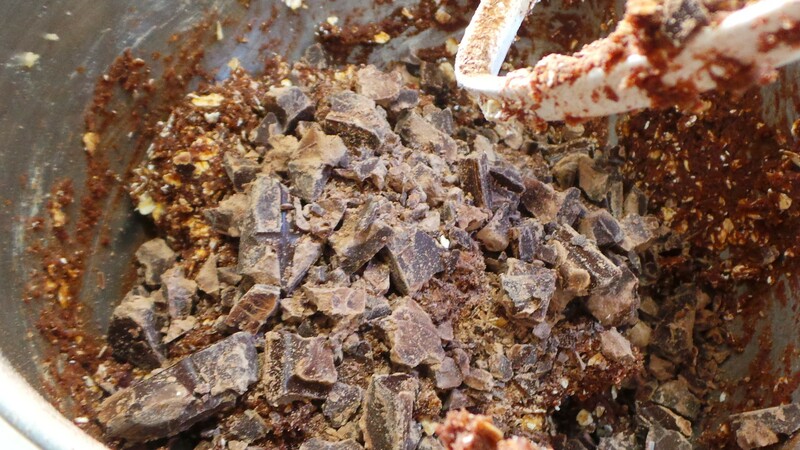 Your mixture will double in size and rise. There’s life in them thar bubbles! Feed it again, place it in the jar you want to store it in permanently, cover loosely and transfer to your fridge. Look how happy the one I revived is! All bubbled up and ready to bake! Yes, the process is slow. It’s not an instant ‘add water and bake’ thing. But, you know, that’s actually a really good introduction to the slowness of the sourdough baking process. Meanwhile, The Boy has decided I should go into business selling little bags of sourdough starter. What do you all think? We have moved and, as those of you who follow me on FaceBook as well would know, cooking is being done. 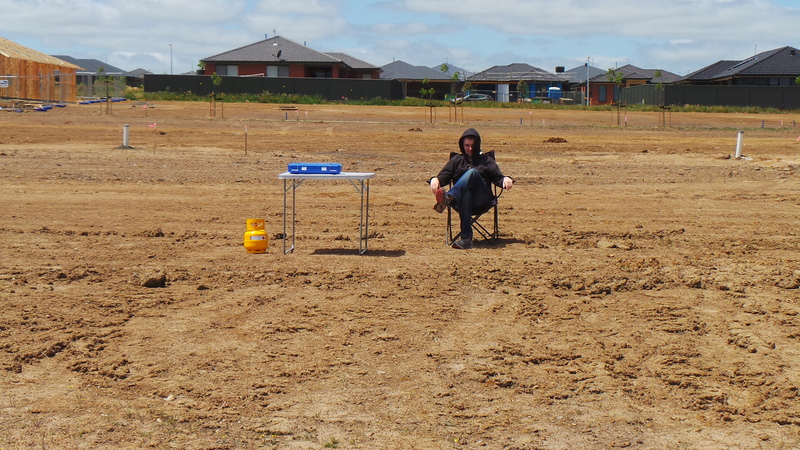 Just not a lot of blogging. Sorry about that. The move was rather more …traumatic… than anticipated and, being a brand new edifice, things keep popping up that need done – like, NOW. I thought I’d start back with something for the colder weather that is also the simplest of things to make. Coincidentally, it was also the first meal made in our new home. The weekend we moved had some of the bitterest weather this year (followed a few days later by actual snow! ), so I had some of this going in a slow cooker on our new kitchen counter top; ready to be served up whenever we had a moment to stand still. The soup can be as smooth or as chunky as you’d like it to be, just be aware that it is also a gift that keeps on giving. In other words, you may end up eating it for quite some time. The pulses in the dish will continue to absorb liquids after you’ve finished cooking them, meaning you’ll end up with a semi-solid dish of leftovers in the refrigerator that really need water added when being reheated – which means your double-serving of leftovers becomes enough to serve four and so on. Thinking back, Pea and Ham Soup was one of the first meals I made all by myself as a teenager. Why don’t you make it all by yourself too? To make this soup requires a smoked pork knuckle or a hock. These are not inexpensive and they look hideous. As you can see. However, they pack a massive wallop of flavour and the rest of the ingredients cost next to nothing. If your budget doesn’t stretch to one of these, then the same flavour can be obtained by using smoked pork bones (also available from the deli), you just won’t have the pieces of meat in the soup. It will still be delicious though. Now, I’m going to upset some of my readers and not provide specific measurements for stuff. That’s because I learned to make this from my mother and she didn’t use any. So there. Start by dicing up an onion, a carrot and a couple of sticks of celery at a minimum. If you wish, you can also add parsnip, turnip, swedes and potatoes. A lot of supermarkets in Australia sell “Soup Packs” at this time of year and they usually have some of each of those in them. Peel them first, if you must. I don’t because I don’t peel anything I don’t absolutely have to. I’m not sorry. If you are making this on the stove, then do all the following steps in a large pot big enough to hold your ham hock. If you intend to use a slow cooker, then start by sauteing your onion, celery and carrot in a little oil in a frying pan or skillet over a medium heat. I used a leek instead of an onion here. You’re looking to do what’s known as “sweating.” In other words, you want to soften them and release some of their fragrance without browning them at all. I like to add a shake or two of fennel seeds to the pan at the end of this stage. It’s not traditional, but it tastes good, smells amazing and cuts some of the richness of the resulting soup. Add the rest of your vegetables. If you are using a slow cooker, then transfer them to that. The hard part is over now. Place your ham hock on top of your vegetables and put your filled kettle on to boil. While the kettle is working, add two handfuls of split green peas, two handfuls of split yellow peas and one handful of pearled barley. And a bay leaf. And doesn’t that look good-for-you? Now, pour in enough boiling water to cover, put the lid on and let it come to a gentle simmer. If you are cooking on the stove, you may want to remove the lid when it starts to bubble. Keep an eye on it too, stirring occasionally – the peas and barley will absorb liquid and you might find you have a suddenly dry pot. That would be bad. If you are using a slow cooker, then boiling dry isn’t going to be a problem. If it’s mid-morning then set it to High if you want it for lunch and to Low if you want it for dinner. It will change colour and start to thicken as the peas cook. After an hour or two, inspect your ham hock. If the meat is starting to fall away from the bone, then it’s cooked. Grab a plate and a pair of tongs and retrieve your ham hock and bay leaf from your liquid. Now is the time to decide if you want your soup to be chunky or smooth. If you’d like it smooth, then a stick or immersion blender will do the trick nicely. If you’d like a mix, then use a potato masher in the pot until you reach a consistency you’re happy with. I used a stick blender. Now, remove your meat from the bone discarding any fat or skin. It can get a little messy, so I’d advise having a couple of plates to sort things onto. Discard the bone into the rubbish – DO NOT give it to pets! It’s now very soft and poses a choking hazard for dogs. Return the meat to the pot, stir through and serve with crusty bread. Hello my lovelies. I’ve been very quiet of late, I know. There’s a reason for that. It’s a very big, very expensive reason. 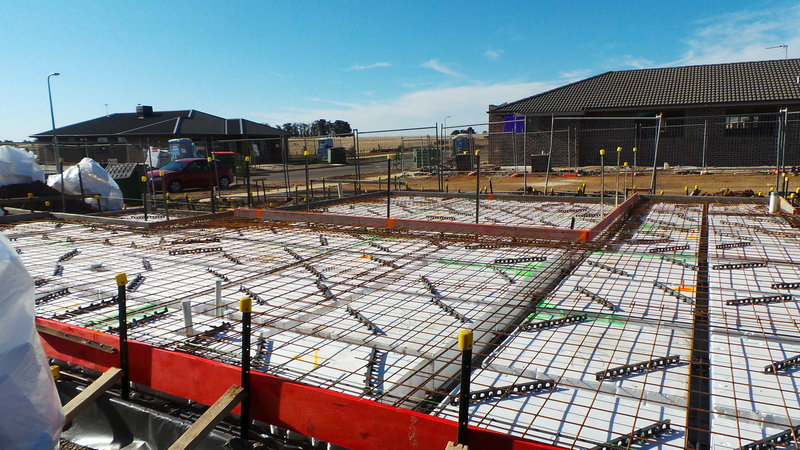 As you know, we’ve been building a house. In case you’re curious, this is a photo of our inaugural cup of tea in our new kitchen. Natch. We set up The Boy’s camp stove and brewed up a Great Australian Cuppa in the roaring winds of Ballarat. This was after 6 months of waiting for the land to title. Yes. Yes, this has been going on for a year now. I think the last (and only) photo that I’ve shown you guys is this one. Since then strides have – yea and verily! – been made. As you can see, it is distinctly more house-shaped. There are still a few things to be done. The front door needs to be painted for a start *ahem*. 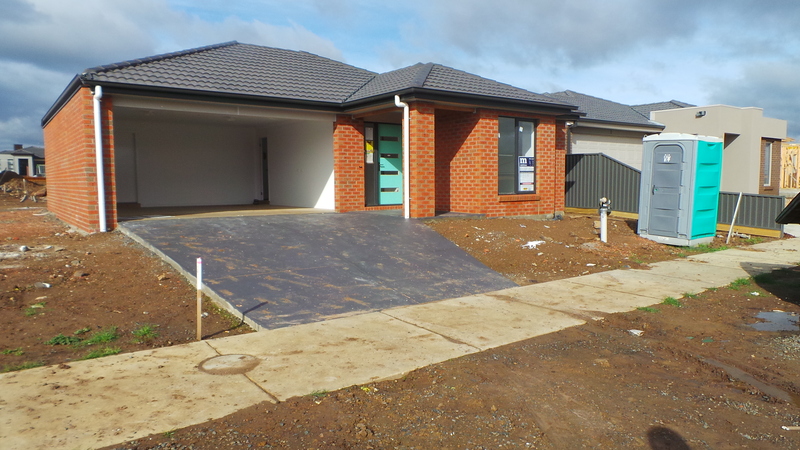 Then the painting of the eaves, installation of the garage door and other major appliances and the removal of the port-a-loo and skip. All this has meant that the possum-infested historical relic in which I currently reside now looks like this. 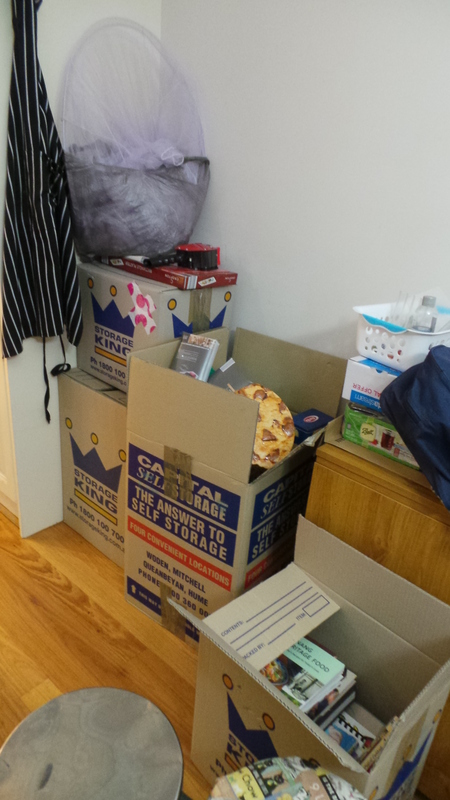 I am packing, hopefully for the last time in many decades. Then I shall be cleaning quite a bit. All of which means that very little blogging is being done. I’m sorry. 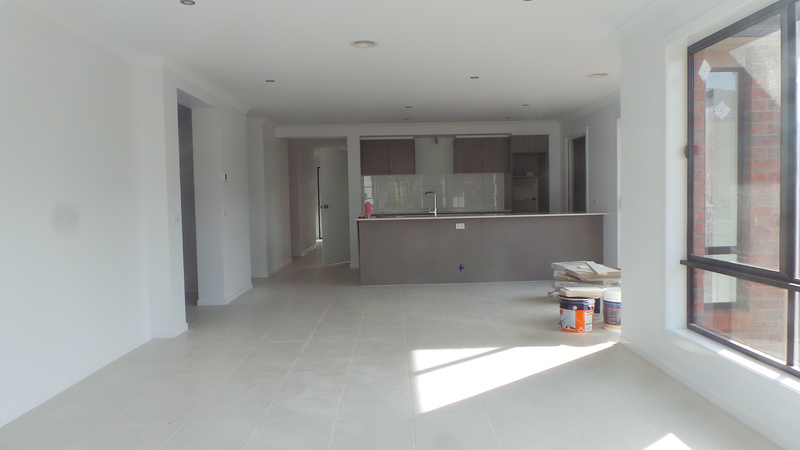 We hope to move in the next two weeks and I am very much looking forward to cooking in my new kitchen – snapped here through the windows. Although I’ve realised that I’ve stuffed up royally with regard to power points in there. I’ve got one set of double points for the kettle and toaster – and that’s it. I had thought (looking at the plans) that there were some on the other side of the kitchen near the stove, but I’ve realised that they were to plug the oven and microwave into! Disaster! Anyway, I had planned to post many things this year and I have lots of photos ready to go. However, this is unlikely to happen now and, admittedly, I will have much better lighting in the new place and may want to redo it all. Who knows? Wish me luck, Peeps. Life is ultra-chaotic at the moment and my energy reserves are at an all-time low. I will be back, possibly better than ever. Simple tuna and rice bake. This is a very simple meal from The Boy’s childhood. I begged the recipe from his mother about a year ago (he kept on about it), but have only just got round to making it. I’m not a big fish eater, I’m afraid. My mother had a deadly allergy to shellfish and an uncanny talent to turn fish fillets into cardboard. It all rather put me off. I didn’t make this exactly according to the recipe either – which kind of spoiled the nostalgia surprise effect I was aiming for. Meh. I didn’t have any celery (IKR!) 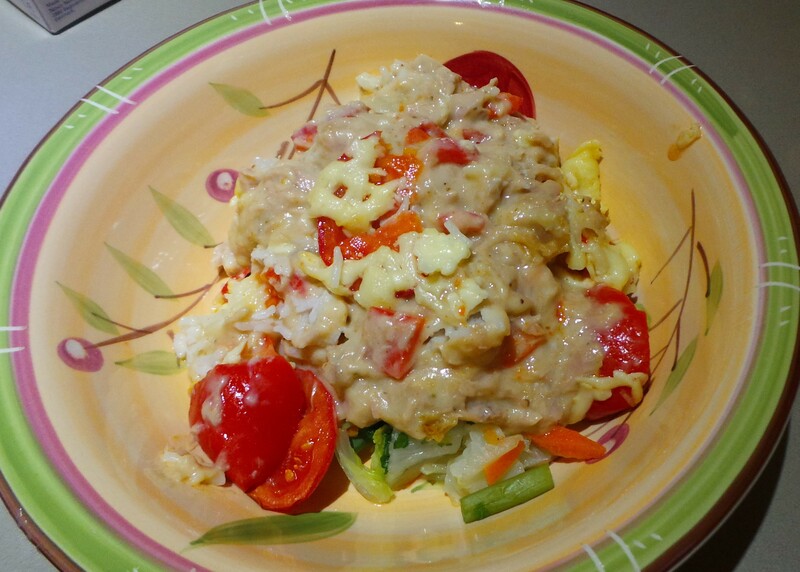 so I used red capsicum and I added Old Bay Seasoning to the white sauce, because I thought it would taste good. Anyway, here goes. This is actually a really good, simple, casserole for those nights when stocks are low and inspiration lower. Most of the ingredients will be found in a well-stocked pantry, especially if said pantry includes long-life milk… It’s even better if you have some plain rice already cooked and languishing in your refrigerator. It starts off with a large tin of tuna in brine or spring water. The tuna is drained, but the liquid is reserved and made up to 1½ cups by adding milk to it. Now, I actually ended up using about a cup or so more of milk when I made it, as my sauce was exceedingly thick. But more on that later. Drain the tuna and reserve liquid. 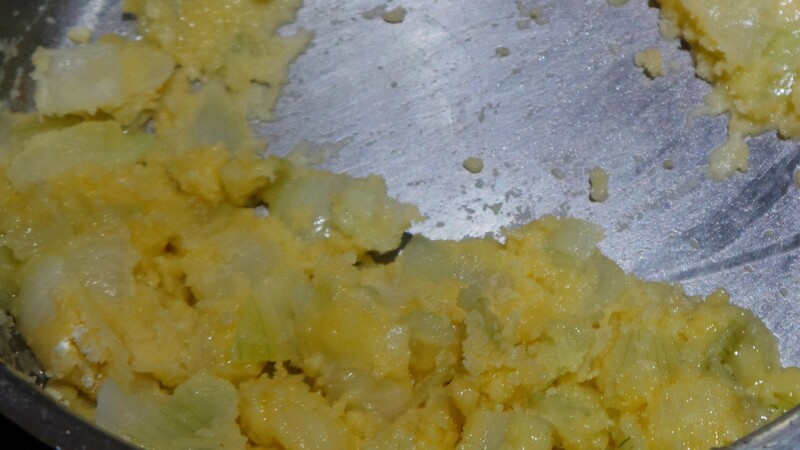 Some butter is melted and and used to saute an onion until translucent. Now I did this bit differently to the original recipe, as I didn’t want to risk a raw flour taste in the sauce. 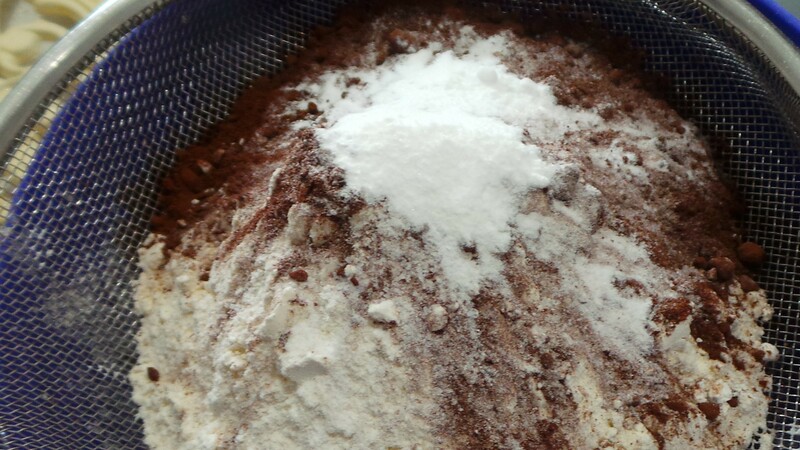 A few tablespoons of plain flour were then added and stirred to make a roux before the milk mix was whisked in and stirred until it boiled and thickened. Basically a fish-flavoured white sauce with onions in. After you have your thickened liquid, add salt and pepper. If you are me, however, add something more interesting (like Old Bay Seasoning). If you don’t have any – which is understandable in Oz – something similar could be conjured up with a touch of dry mustard and smoked paprika, with a little salt. 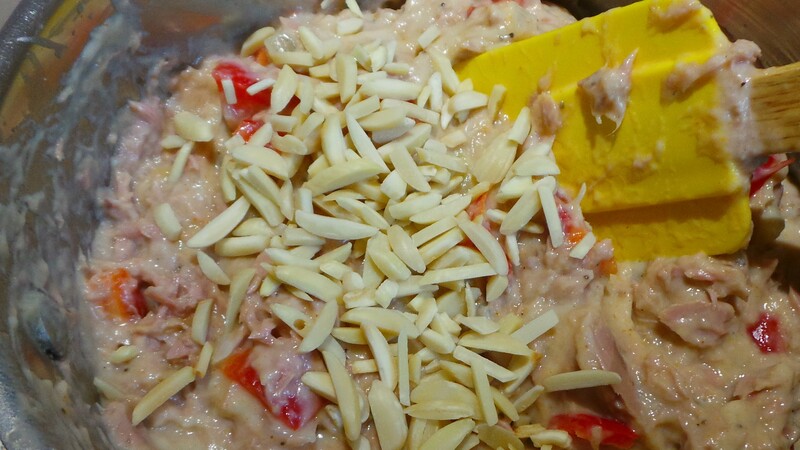 To your newly-flavourful white sauce, add the contents of the tuna tin, some celery and some nuts. The recipe called for cashews, but I had slivered almonds so I used those and of course I substituted the celery with capsicum. Add tuna, celery and nuts. Now a smallish (1.5 l) oven dish was sprayed with oil and half a cup of grated cheese (I had mozzarella)was spread on the base before a cup of rice was also added. Cheese and rice start the layering process. Then a layer of sliced tomatoes. Related: we grew these tomatoes. In our garden. Oh yeah. I sprinkled the top with another half cup of cheese and it went into the oven for 30 mins. After which it was eaten. Drain tin of tuna, reserving liquid. To the liquid add enough milk to make 1¼ cups. Flake the tuna into a small bowl, removing skin and bones. Melt butter in a medium saucepan over gentle heat. Add onion and sauté gently until soft and translucent (not browned). Add flour and stir into butter, creating a roux. Fry gently for one minute. Remove from heat and whisk in milk, dissolving any lumps. Return to heat and cook gently until liquid boils and thickens. Add tuna, celery, nuts and seasoning. Grease a medium-sized casserole and sprinkle half the cheese on the base. Spread the tuna and white sauce mix onto the rice layer. Arrange slices of tomato on top of the tuna layer. 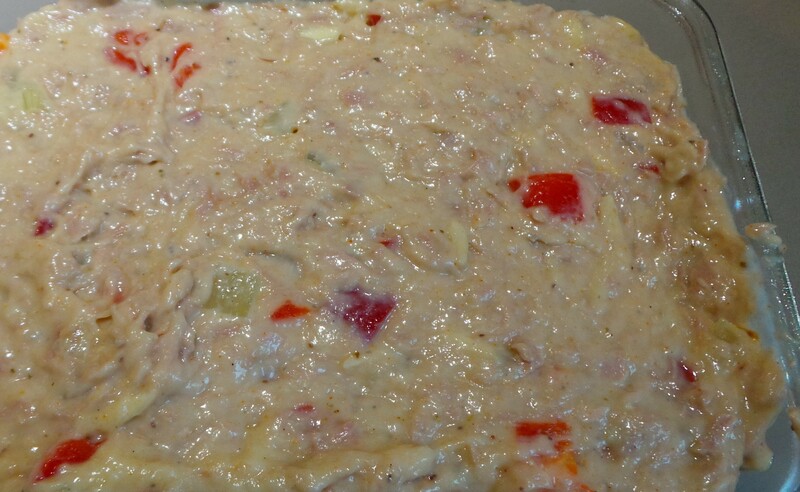 Spread with remainder of cheese. 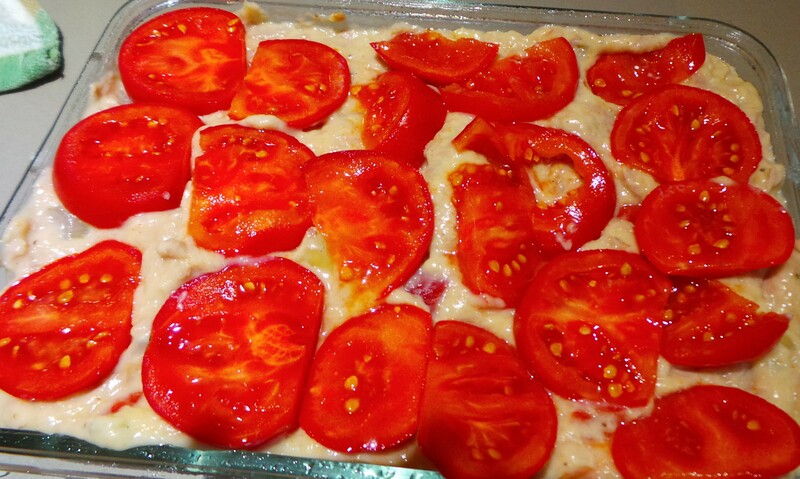 Bake for 30 minutes – until heated through and the cheese is browned.